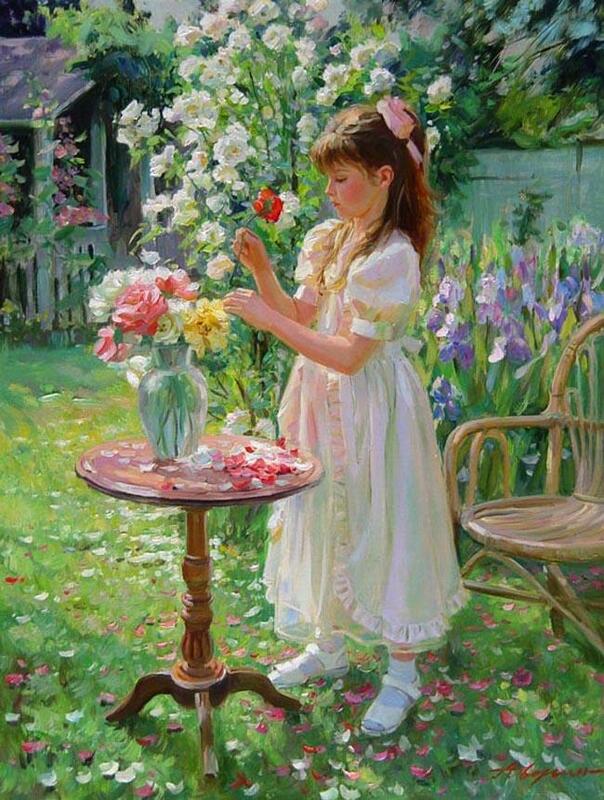 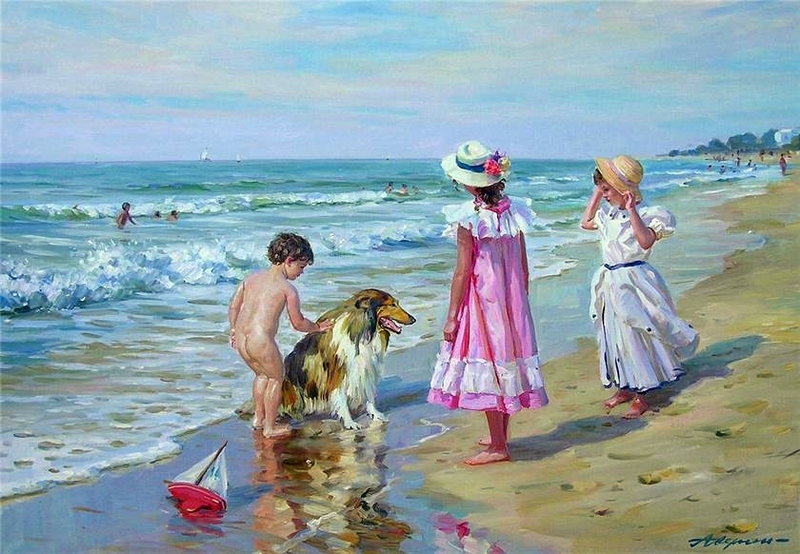 Russian painter* Alexander Averin / Александр Аверин was born in Noginsk, near Moscow. 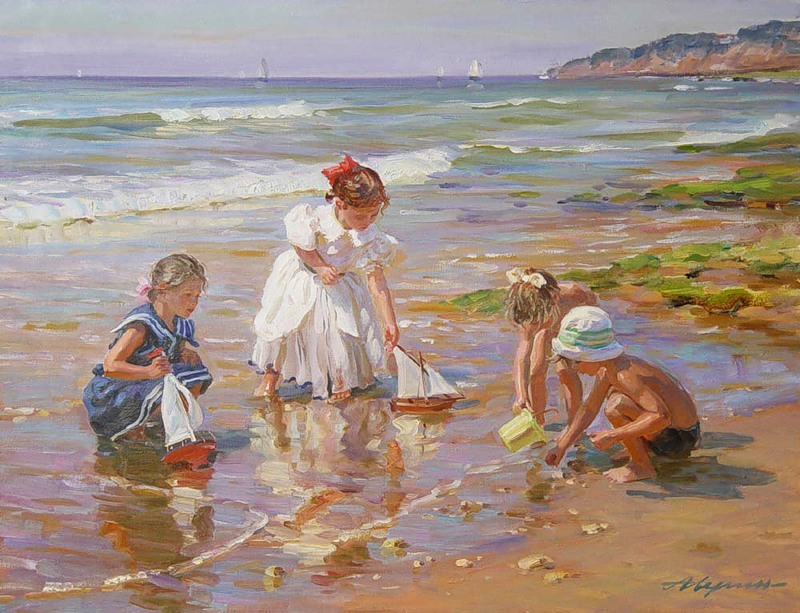 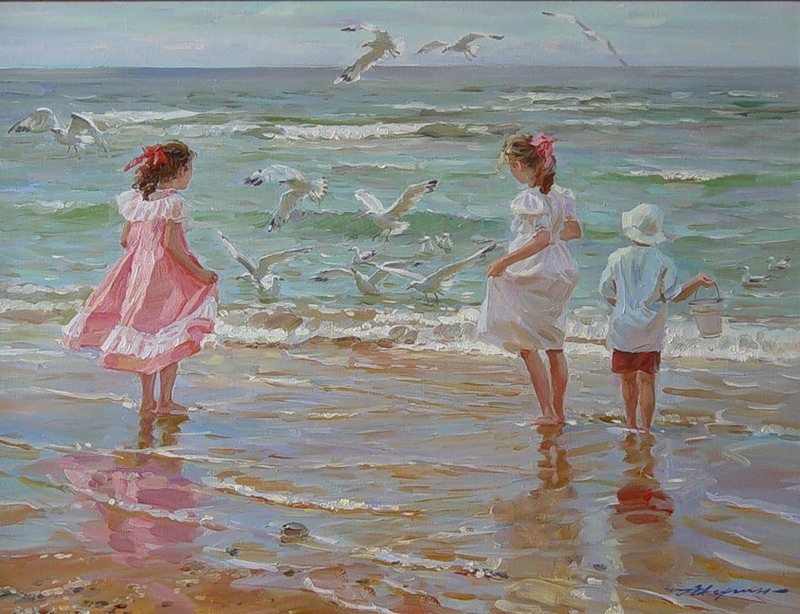 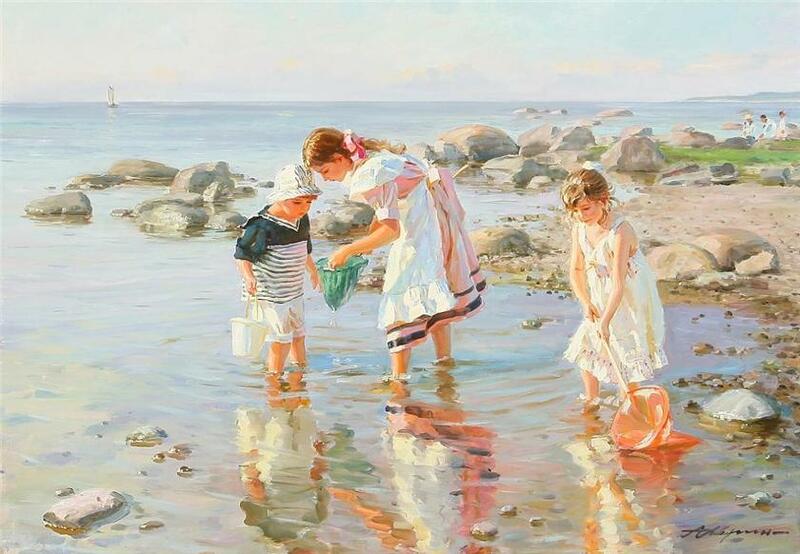 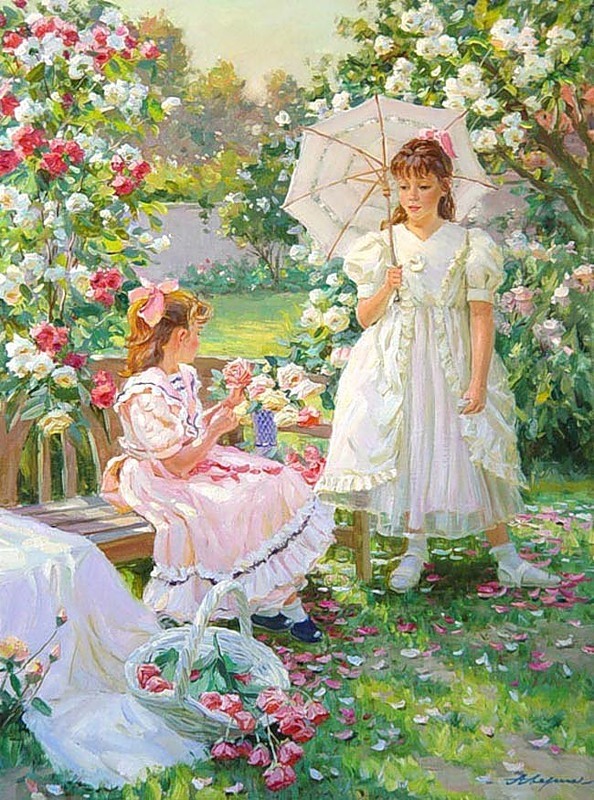 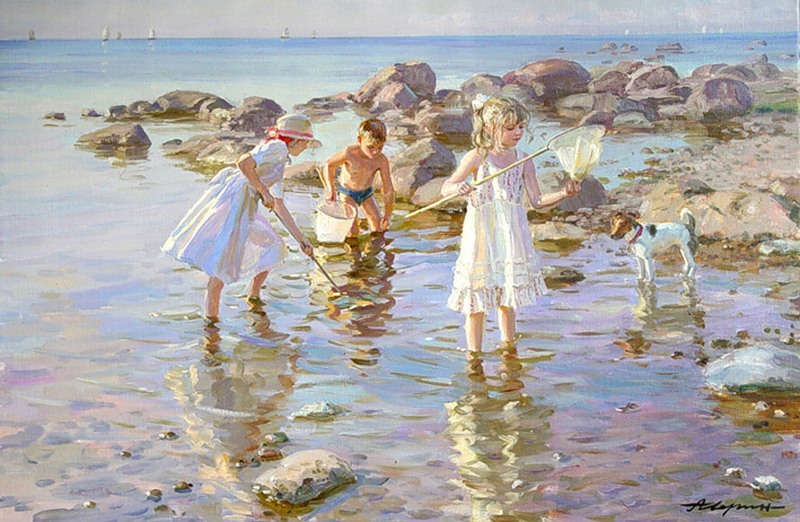 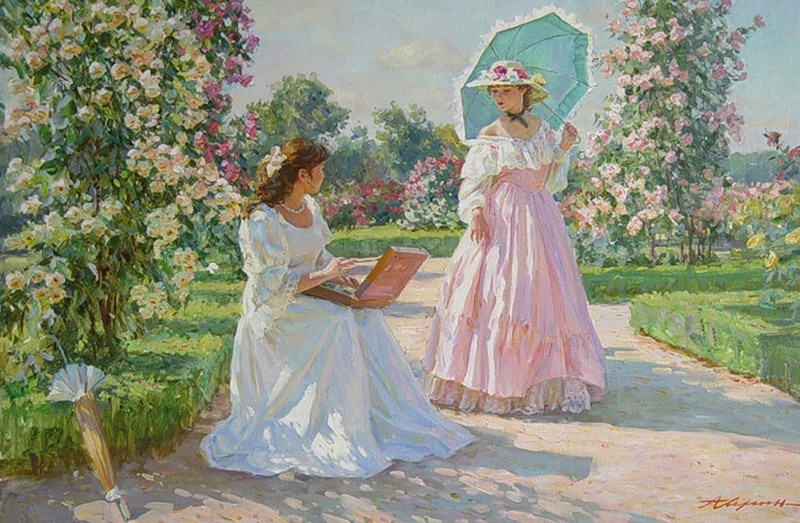 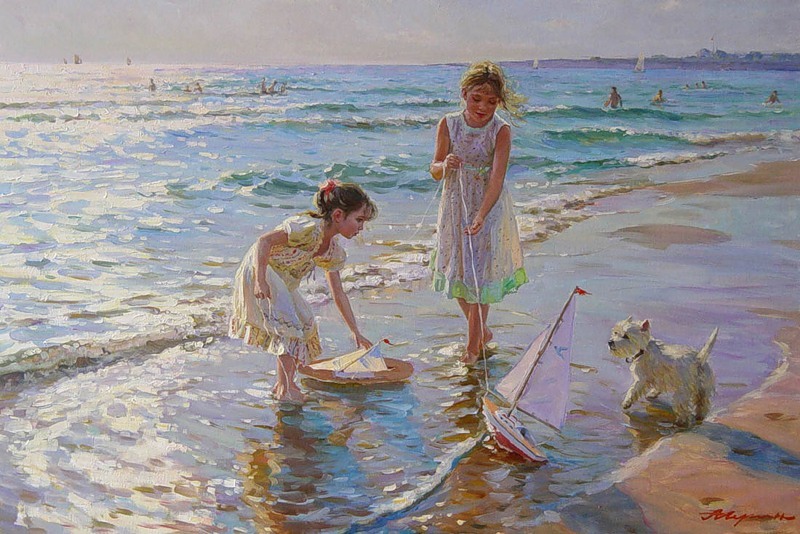 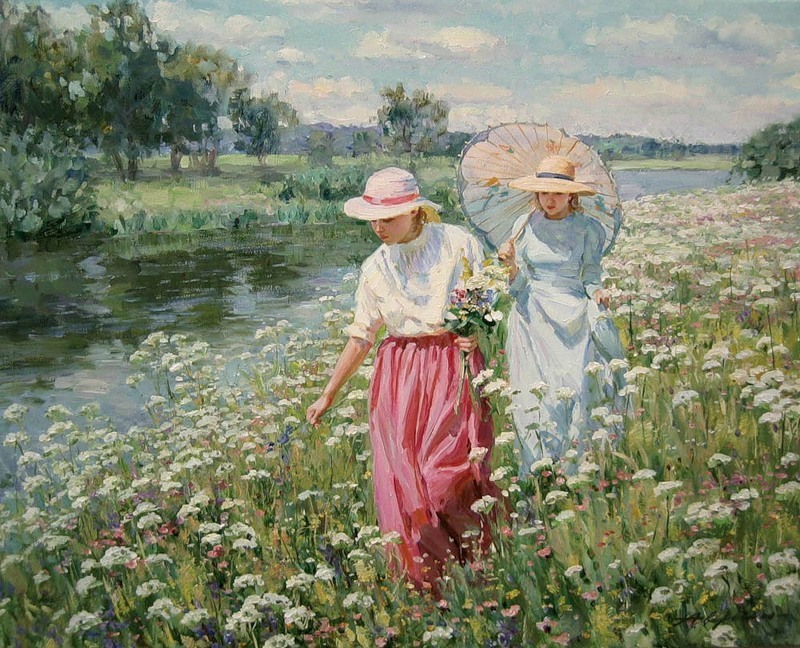 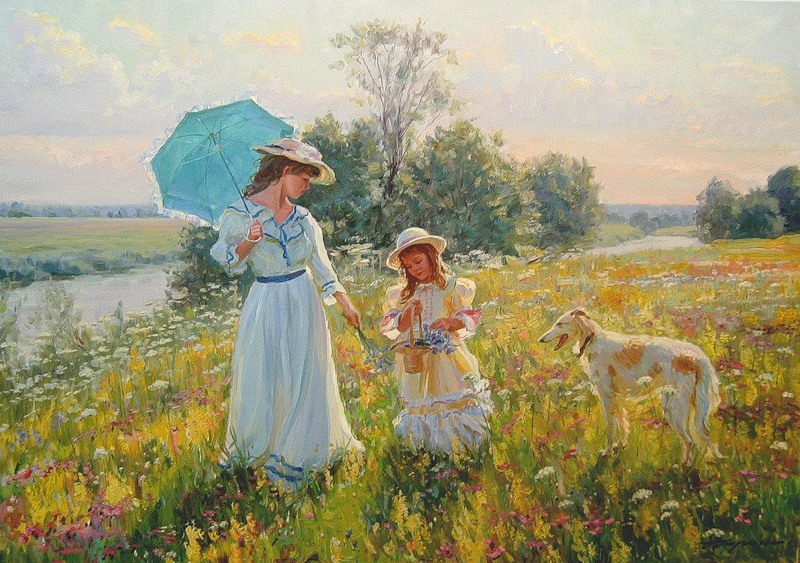 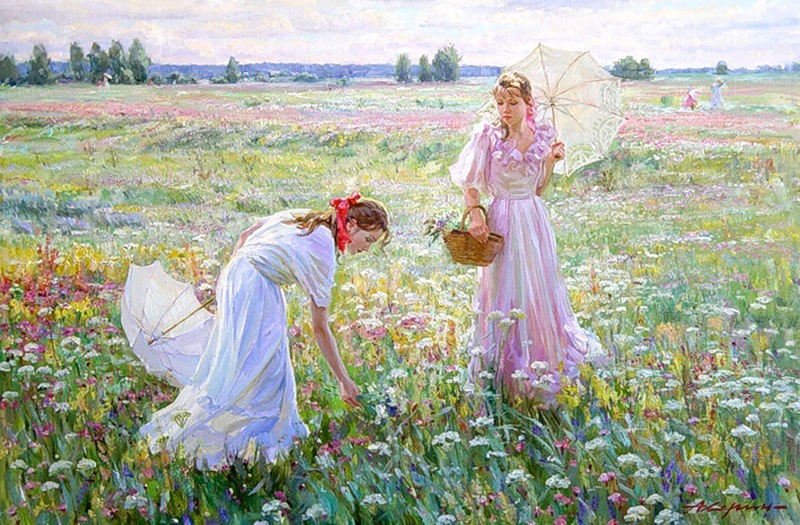 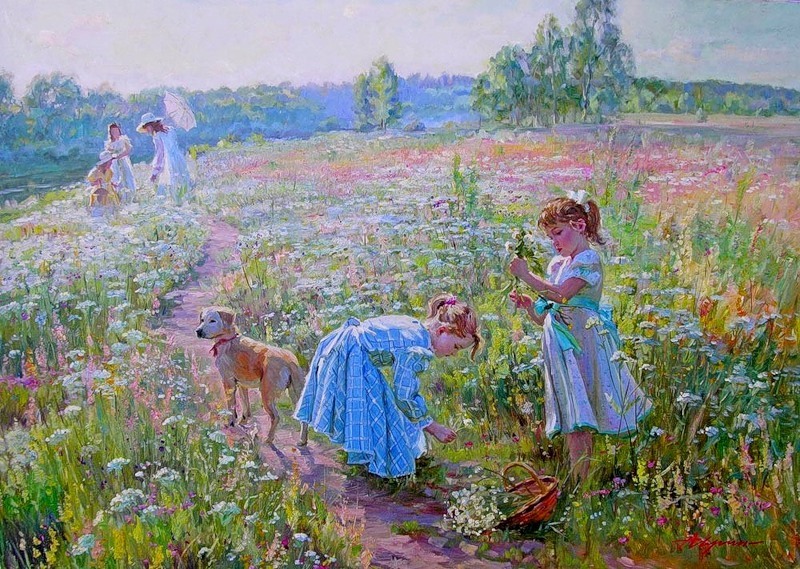 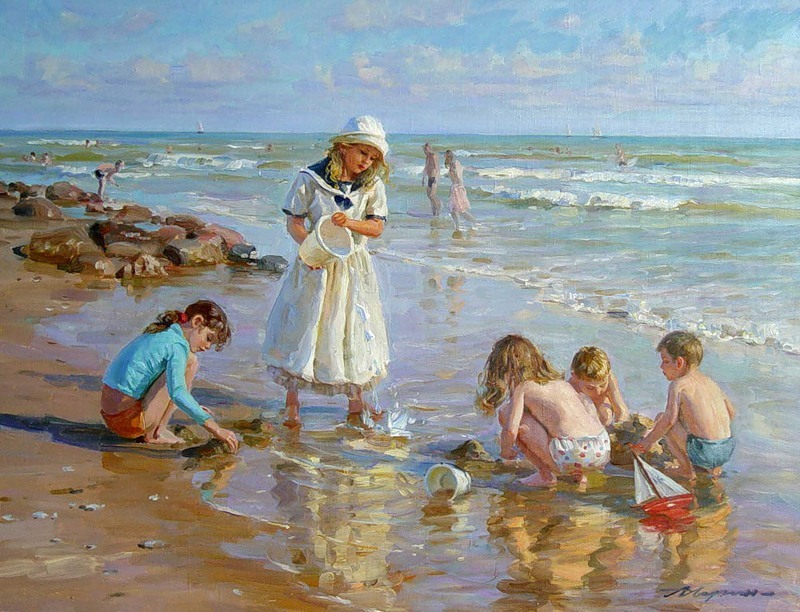 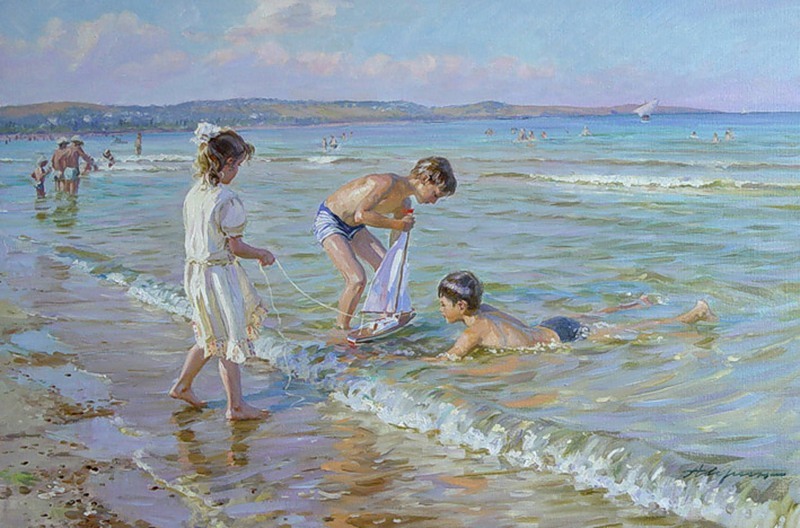 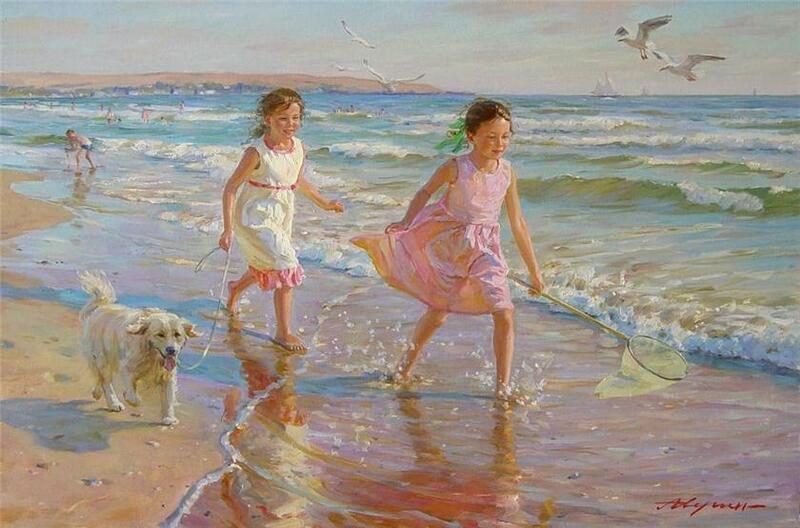 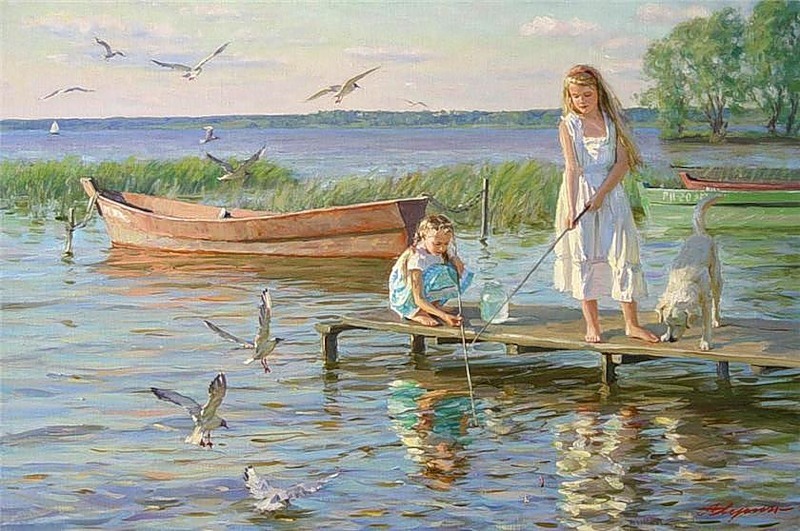 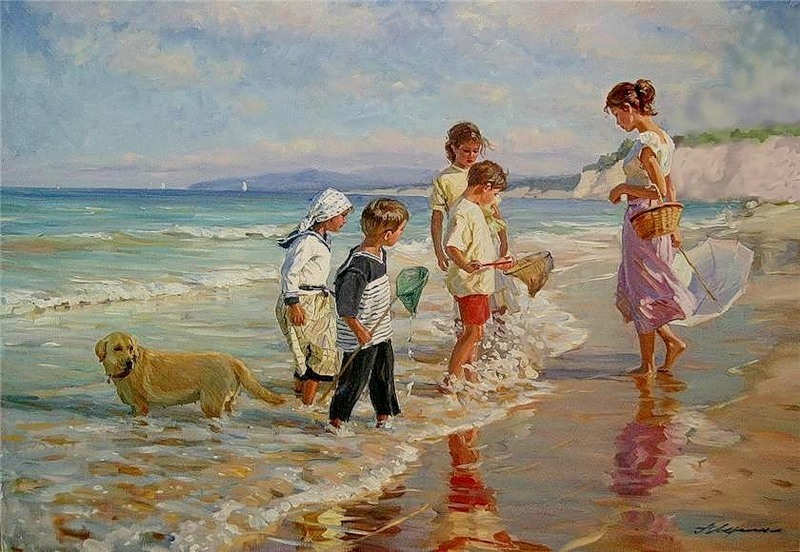 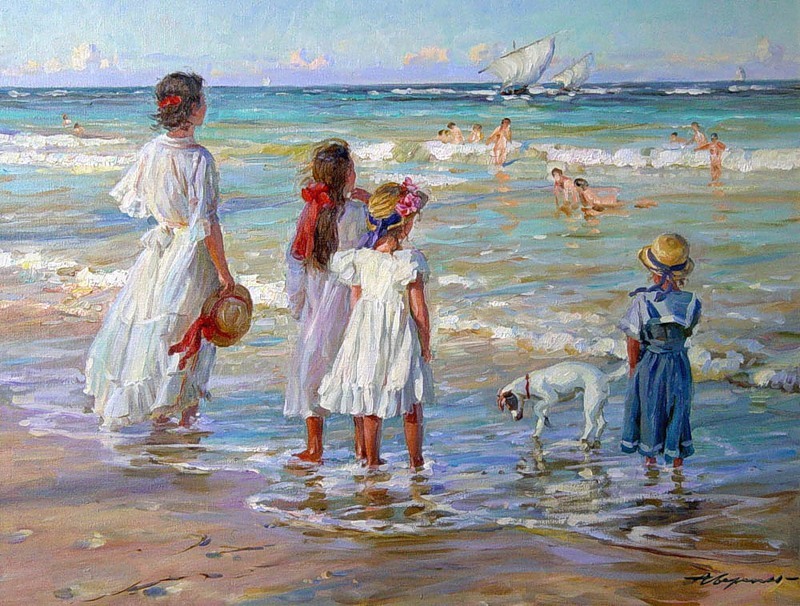 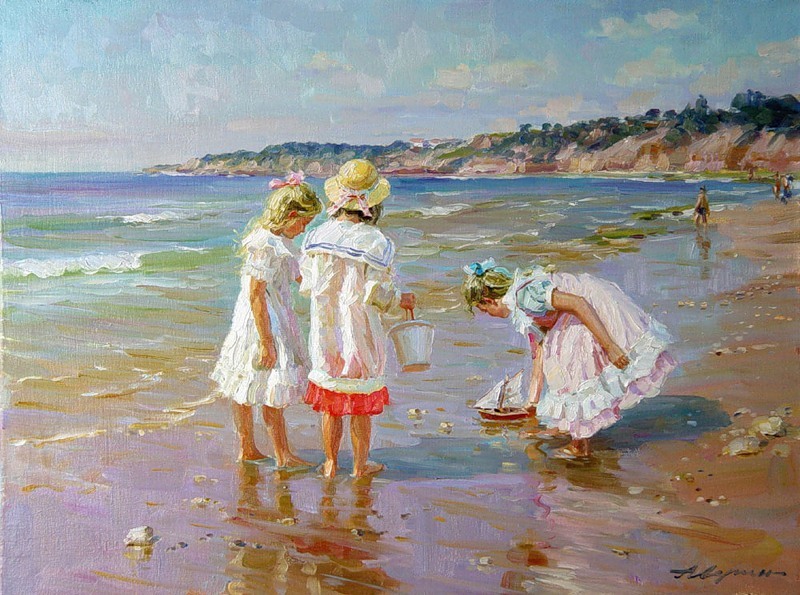 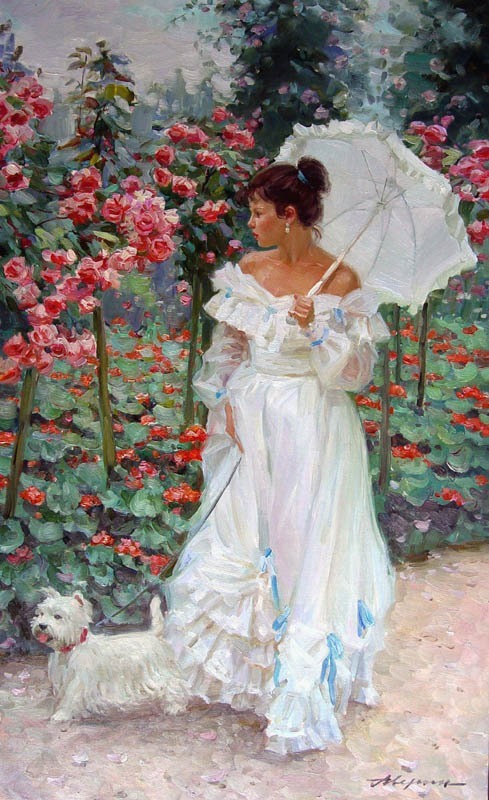 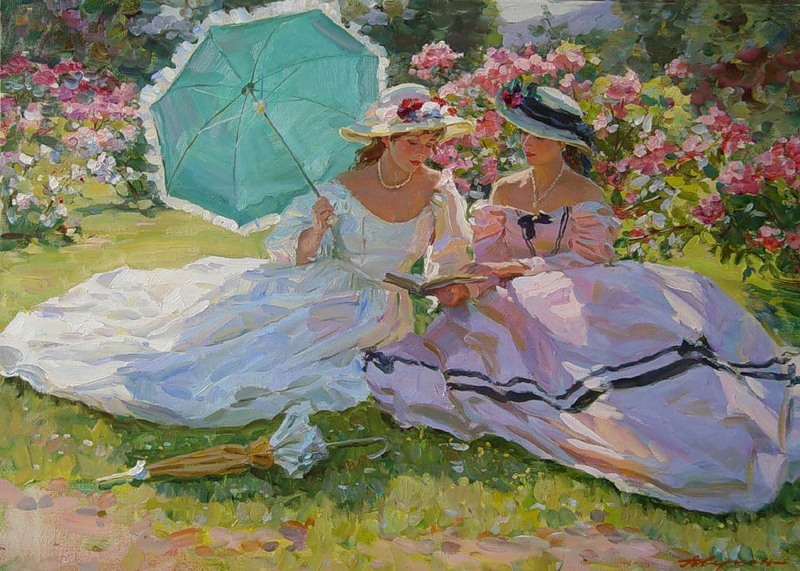 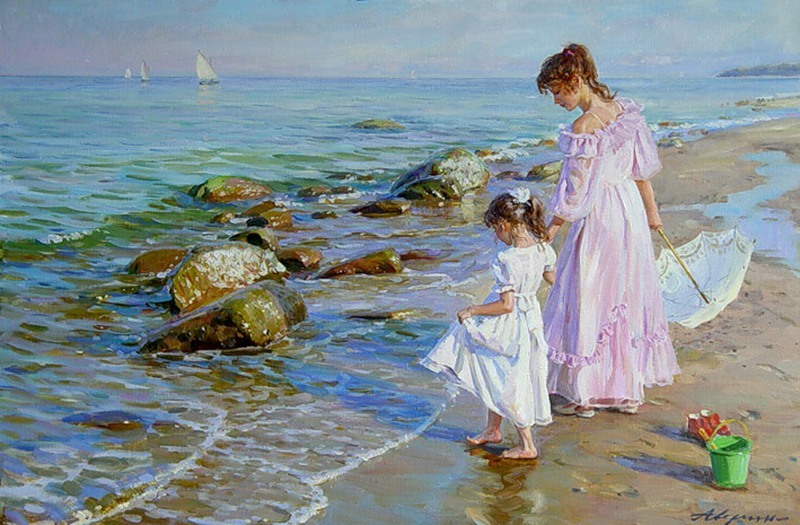 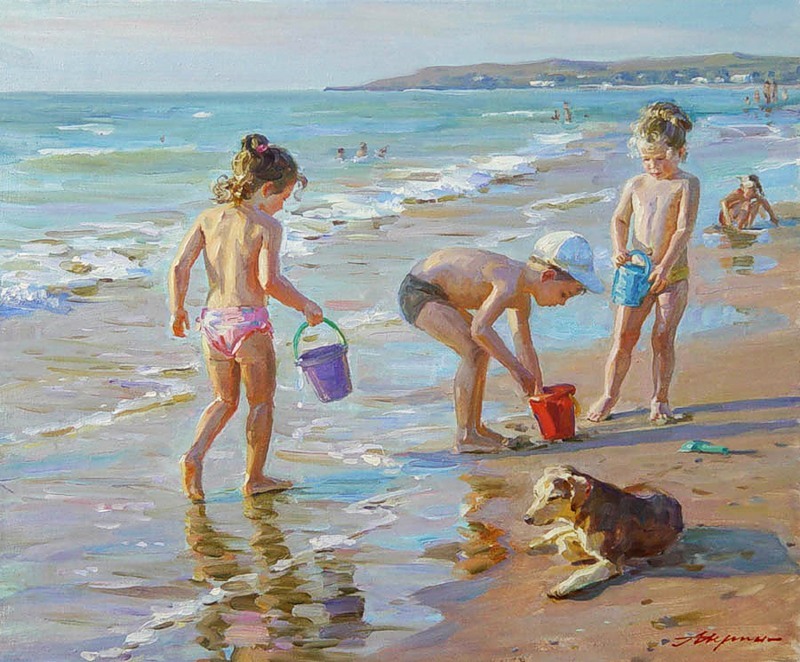 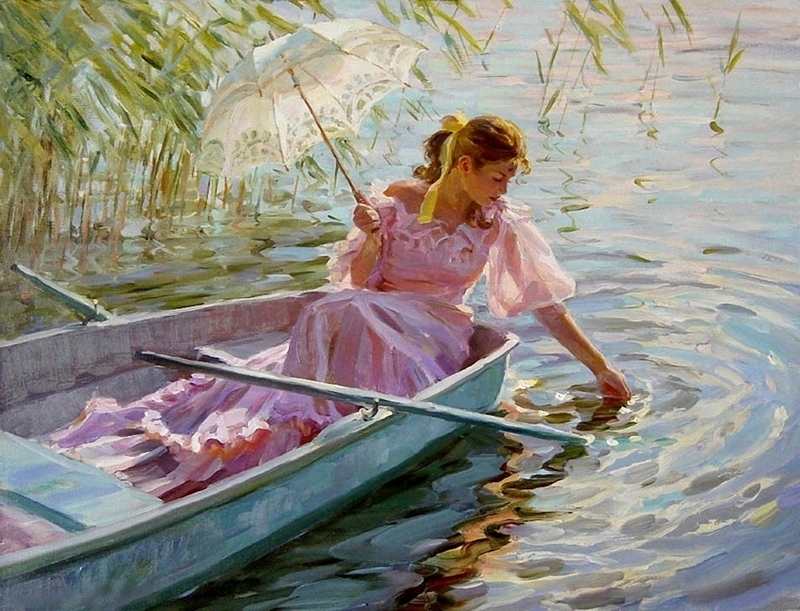 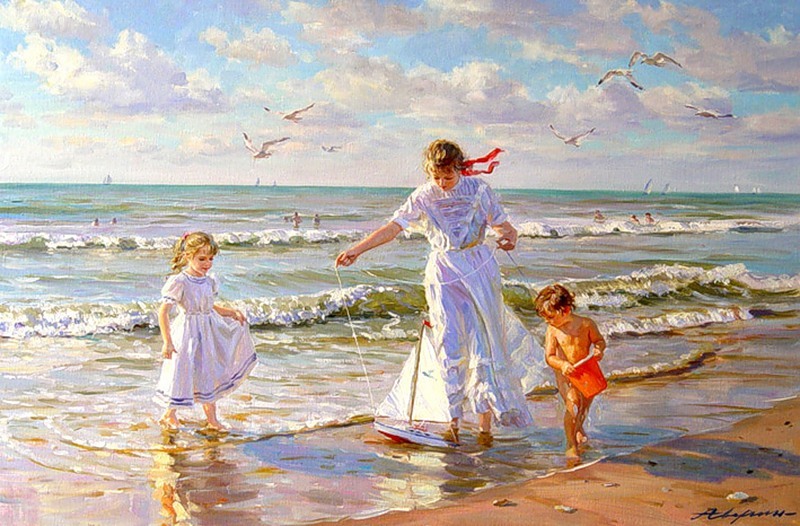 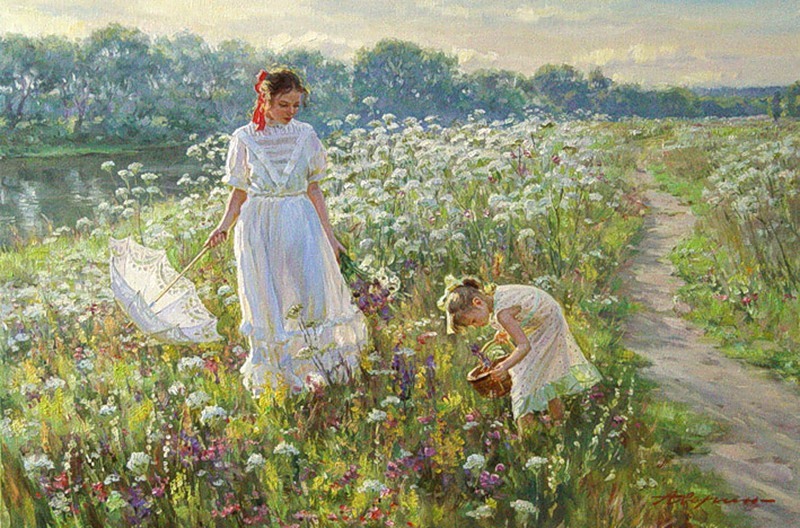 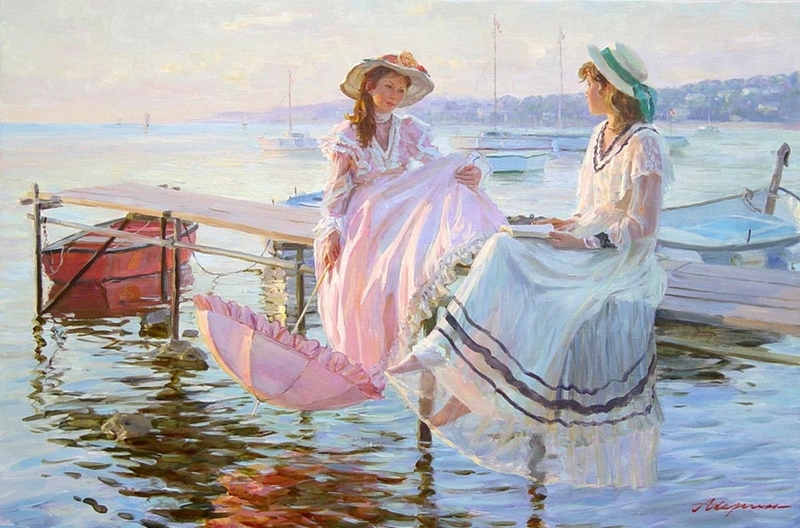 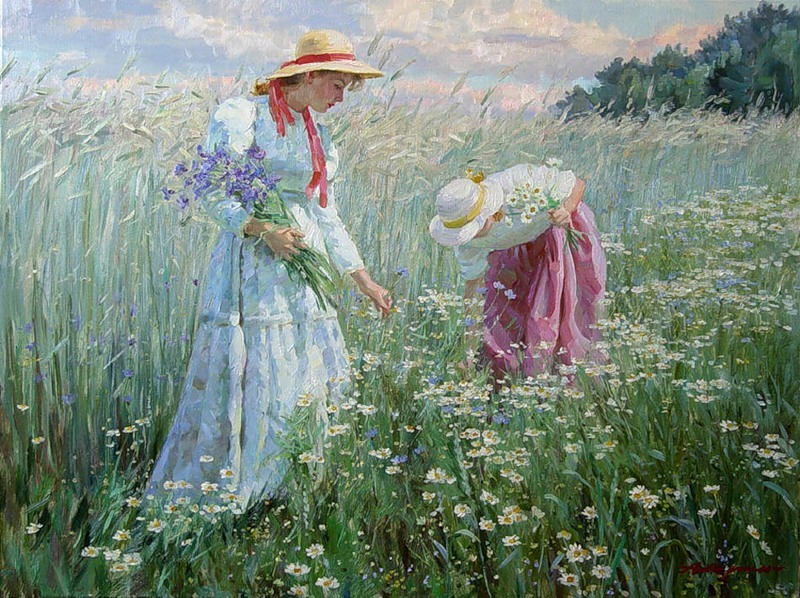 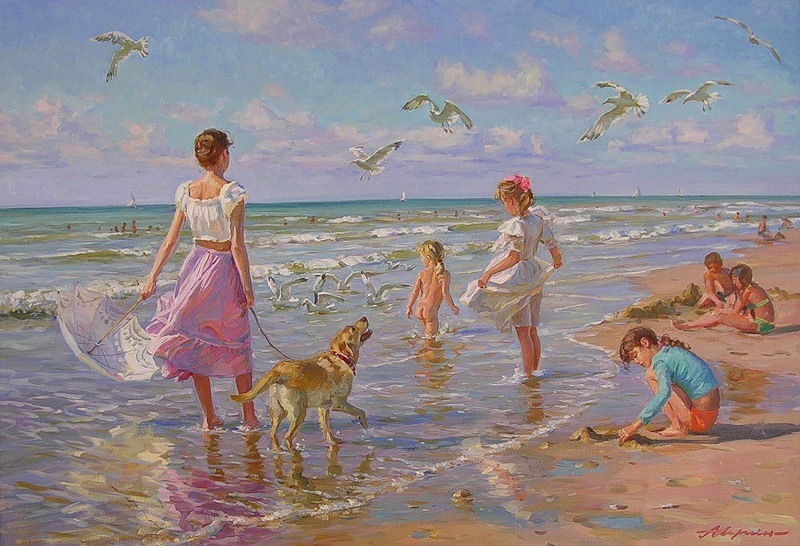 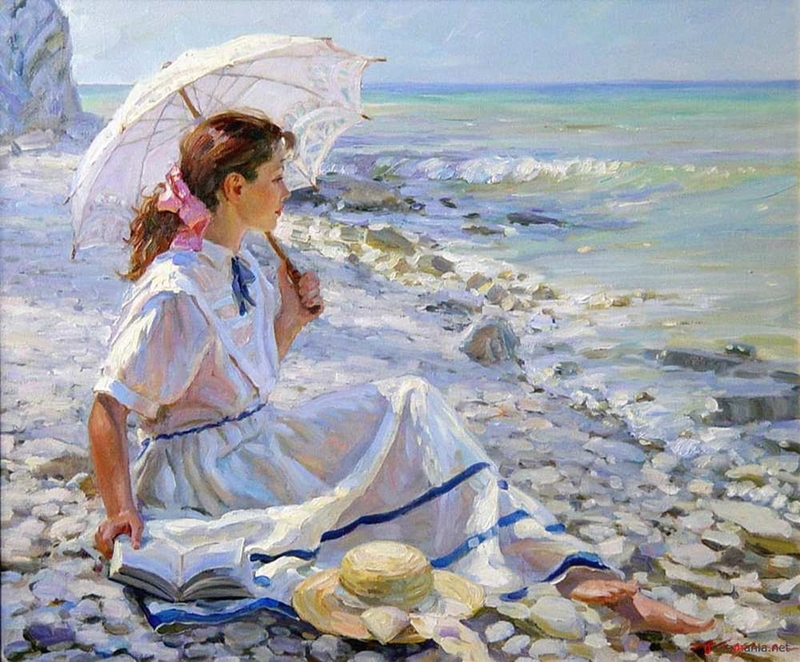 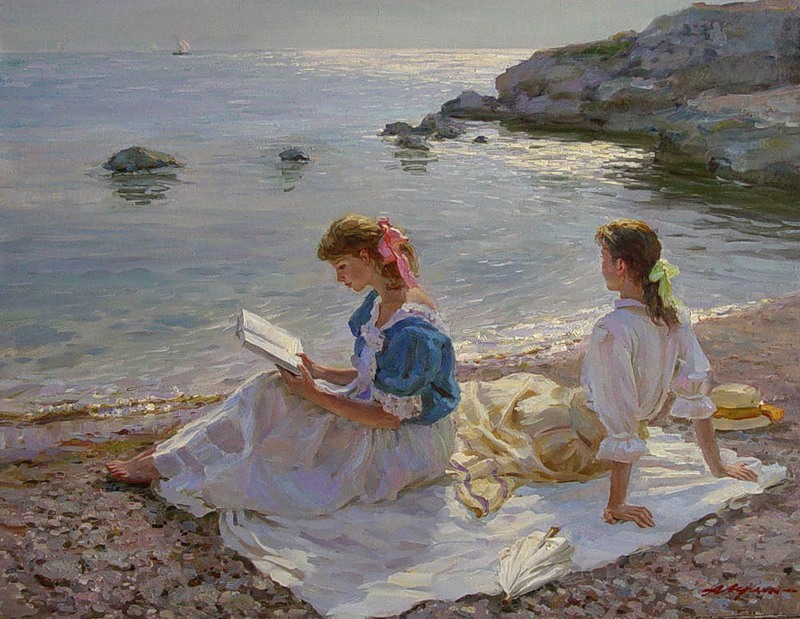 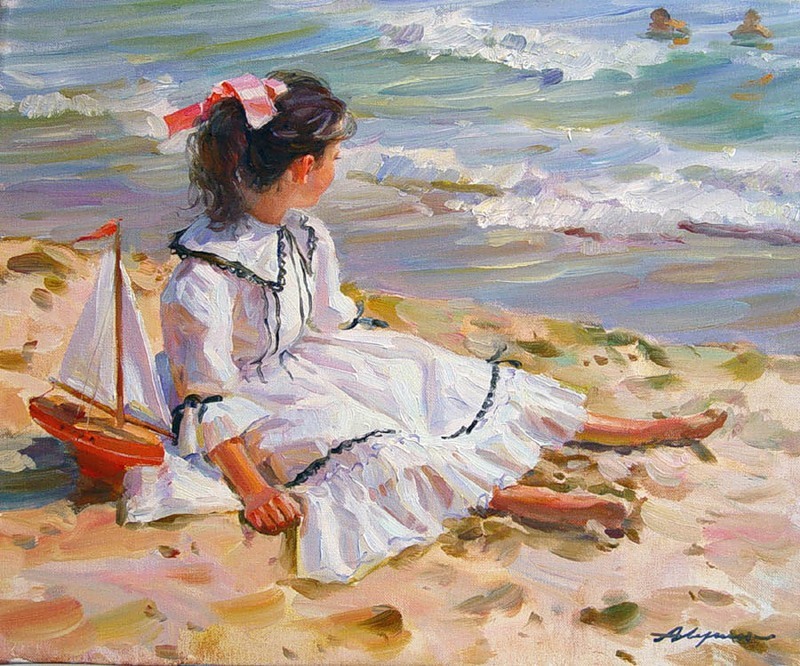 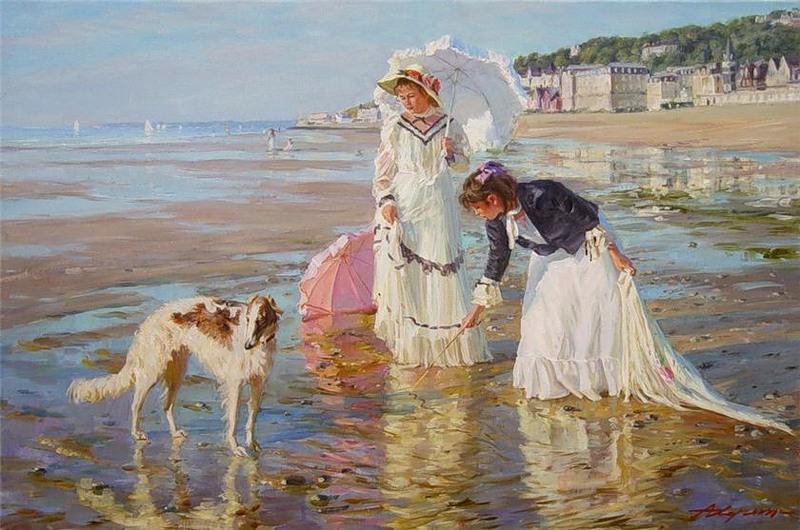 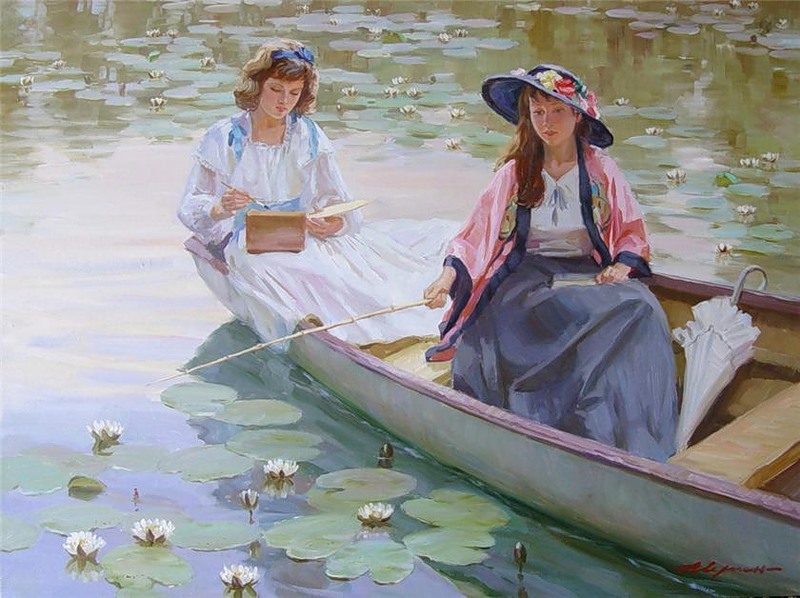 The main theme of Alexander Averin’s painting are genre scenes with charming Russian young ladies against blossoming meadows and gardens, shady river coasts and sea landscapes. 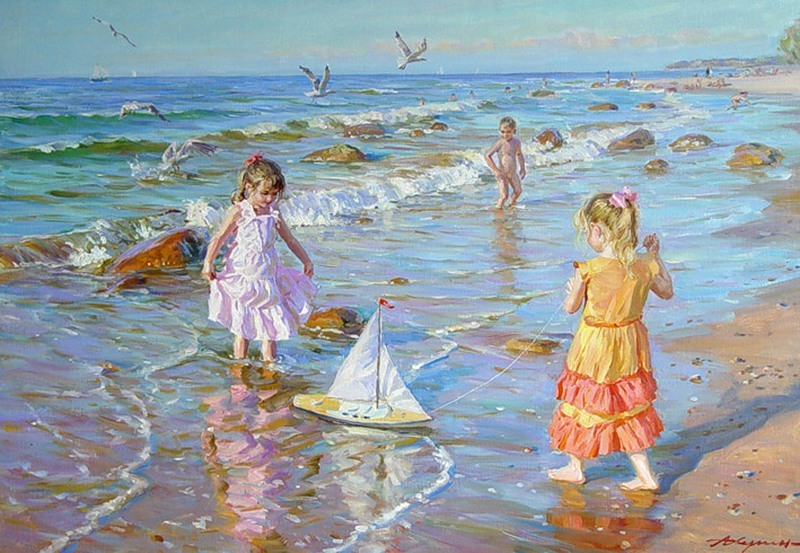 Plot of the paintings is filled with sincere warmth and cordial feelings towards children. 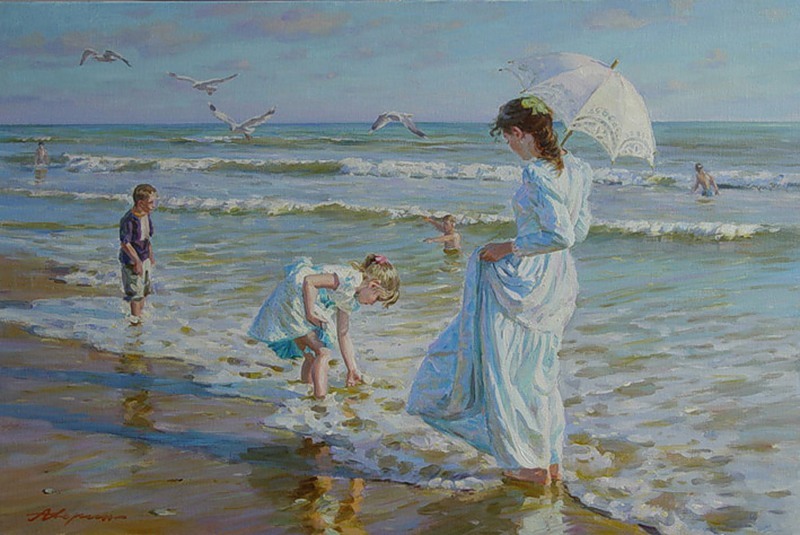 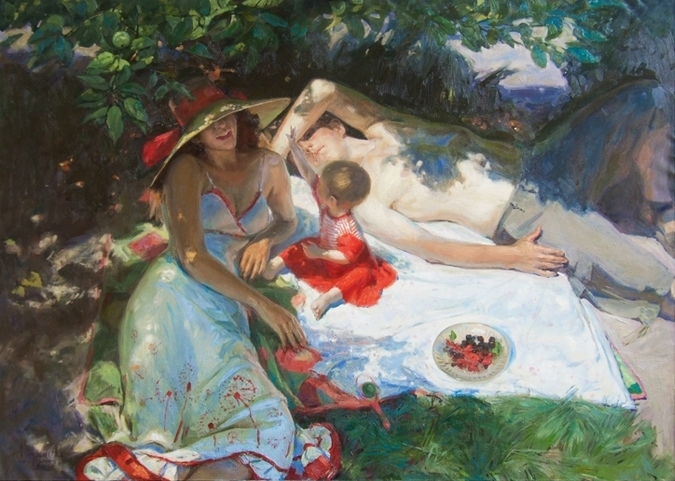 Averin learned his technique from the painter Dmitri Yorontnov at the School of Fine Arts "Souvenir de I'An 1905" in Moscow. 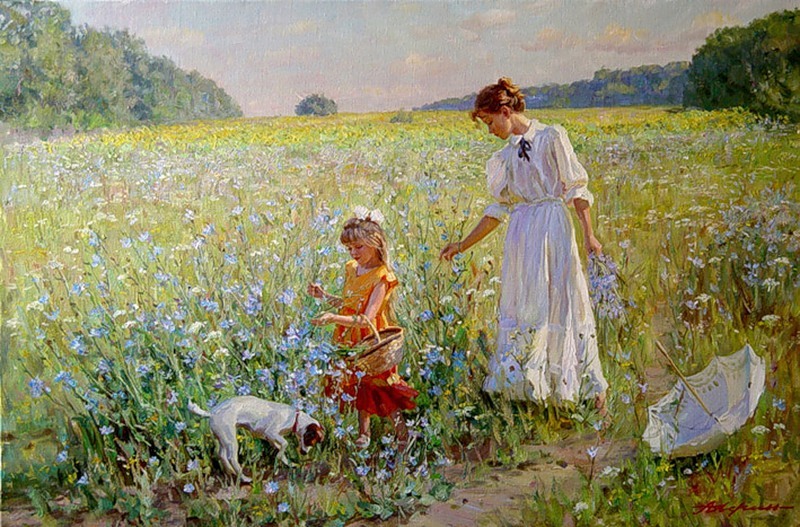 He is a member of the Moscow Painters Association, with whom he has exhibited on many occasions. 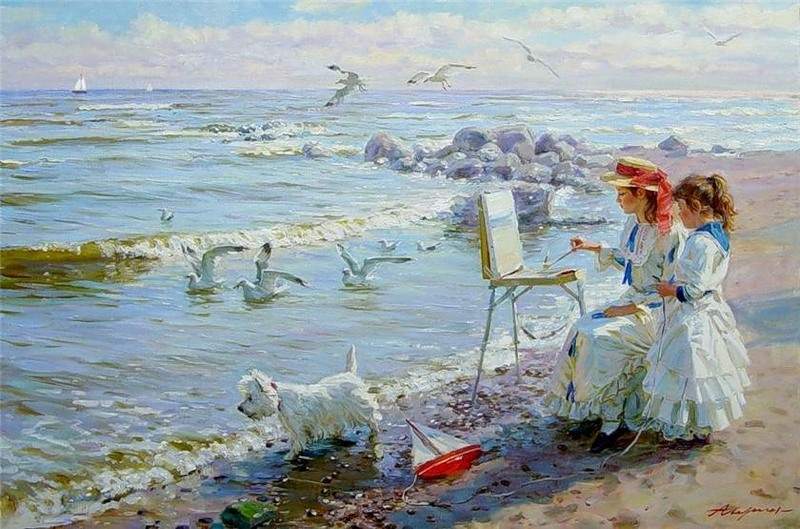 For many years he specialised in portraits. 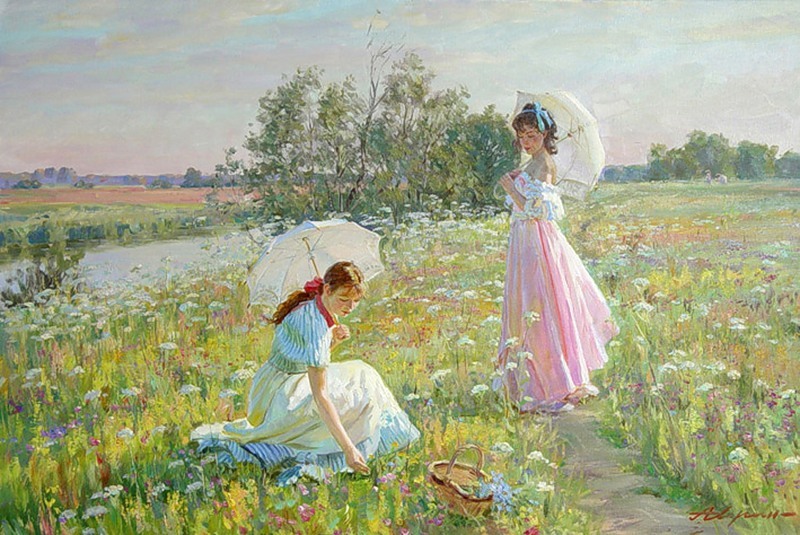 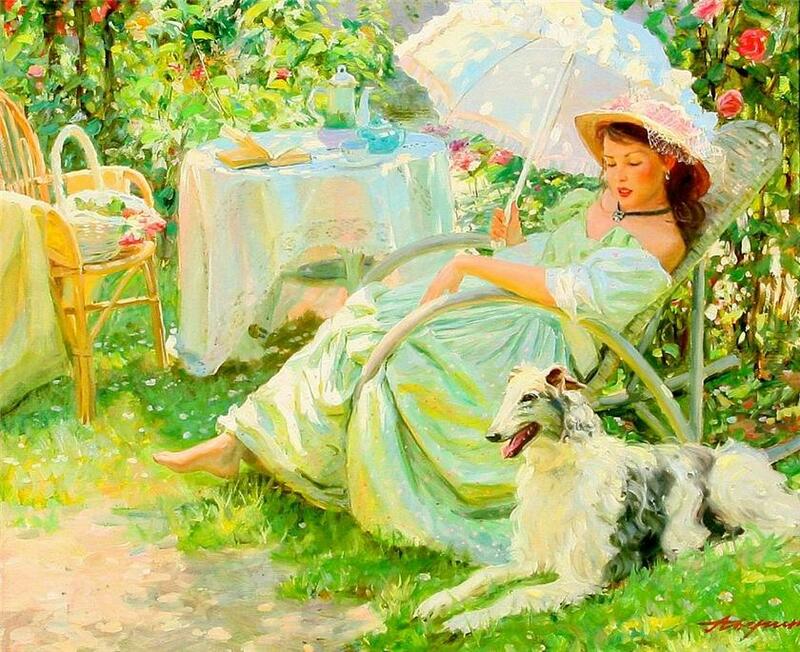 His style is purely realistic, with a strong influence of the late 19th Century Russian painters, usually depicting domestic scenes in a soft twilight. 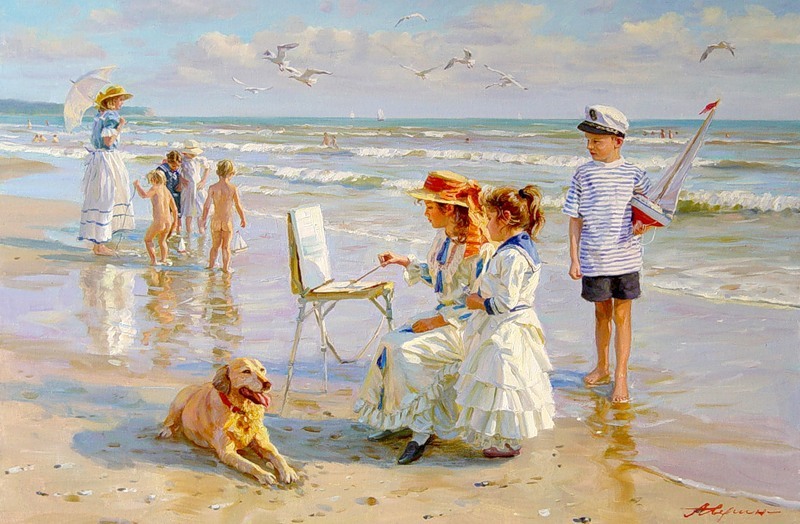 His realistic painting is typical for the ones of the end of the 19th Century. 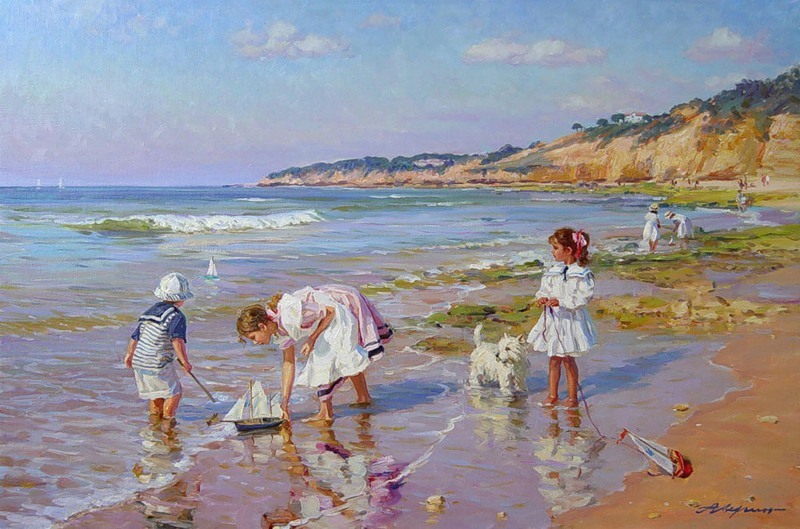 Like Pavel Fedotov, Averin's favourite painter, he works outside in the air, using surroundings to inspire the brush and compliment the work.